Aloha state of mind, all the time. A collection inspired by the state we call home. Special dye techniques and coastal inspired prints come together to reflect classic California character. Easily elevate your everyday. There is no reason to sacrifice style for function. 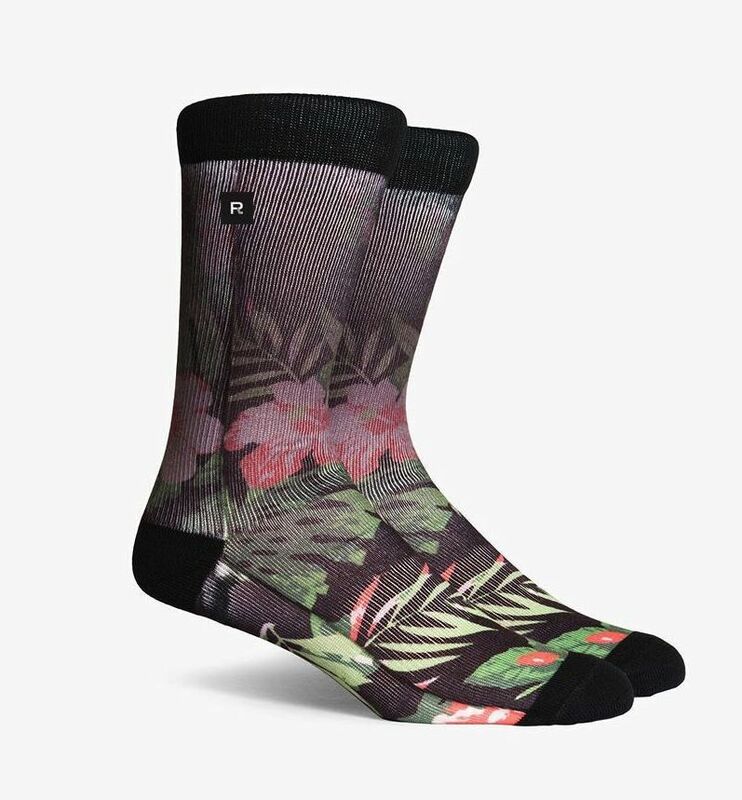 Our Everyday Midweight Crew socks are your go-to when you want just a little extra comfort. • Classic tube sock styling. • Extra arch support keeps the sock in the perfect place while giving your arch needed protection. • Double twisted yarn gives a midweight feel. • Non-binding bib welt keeps the socks from quitting on you.